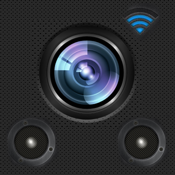 "Excellent app that works great ... clear recording and pics. Thank You!" "This is a must have app!! !⊙▽⊙"
A picture is worth a thousand words, what about add your voice into a picture? Collect every piece of memory, make it colorful and vivid, and spread the joy the people you love. We highly suggest you use ios device or mac to read the mail when you share, makes it feels better, and we recommend http://www.posterous.com to share with friends perfectly. Speature provide a simple, fast way to record your thoughts and daily life that you want to note with voice and image, and also provide a way to shared. We compressed the audio file size, so it will not take up much memory and more easy to share. .Add voice to your photo. .Or add a photo to your voice record. .Manage your recorded items to albums, unlimited. .Share with your families and friends via email. .Keep memory fresh with limitless voice record length, and with a photo for it! .Usages you will know only when you have it. When you are out, you see something really interesting, then you use Speature to take a picture, record some words, send send an email to someone you want him/she to know right away. You are thinking of something really hard, trying to catch every spark of inspiration, suddenly you see something that give an great idea, you take an photo of it and record what you think about it with Speature, then it will never go away, vividly staying there with a photo and your voice, and you can send to your other devices just by one click. Take a great picture of yourself, and send you the people with a few words, let her/him see your hight quality face picture and hear you, not to see the cold words.